This event offers visitors to stock up on classic parts, spares, accessories and riding gear for the season ahead. 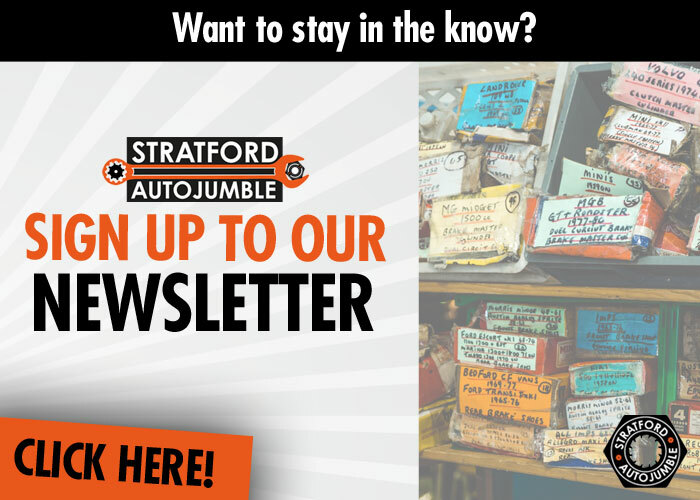 If you’re looking for a specific part to complete your latest restoration, chances are you’ll find it on one of the trade or autojumble stands at Stratford Autojumble! Therefore – it’s the perfect place to pitch up with a trade stand and get those early few months of the year off to a great start! If you’re interested in trading at the show, simply get in touch with the team today. How much is it to trade at the 2019 show? Gates open for Traders to set up Saturday 2pm-10pm and Sunday 8am-9am. Arriving late may mean it is not possible to set up on your pitch. Outdoor plots are available on grass. there are several catering units, first aid, male, female, and disabled toilets.